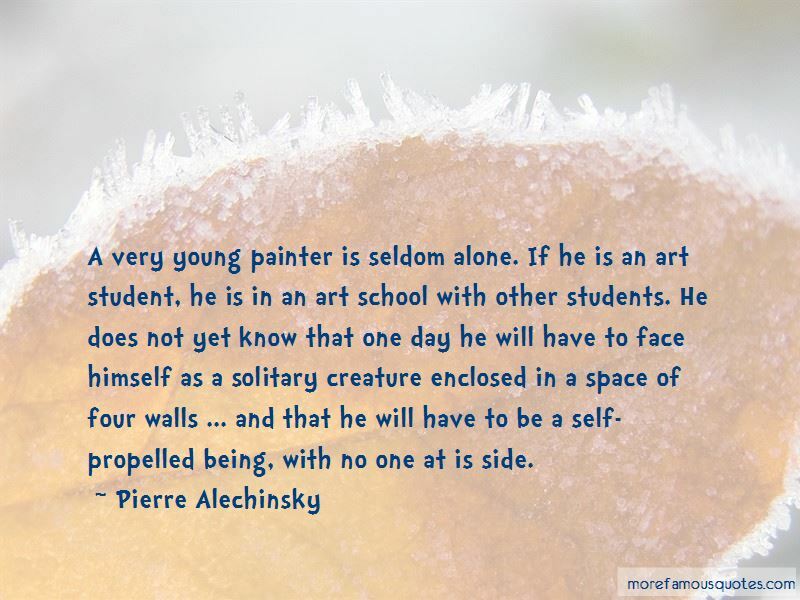 Enjoy the top 13 famous quotes, sayings and quotations by Pierre Alechinsky. Being an artist and being a teacher are two conflicting things. When I paint, my work manifests the unexpected ... In teaching it's just the opposite. I must account for every line, shape and colour and I am forced to give an explanation of the inexplicable and account for the variety of styles the students present. 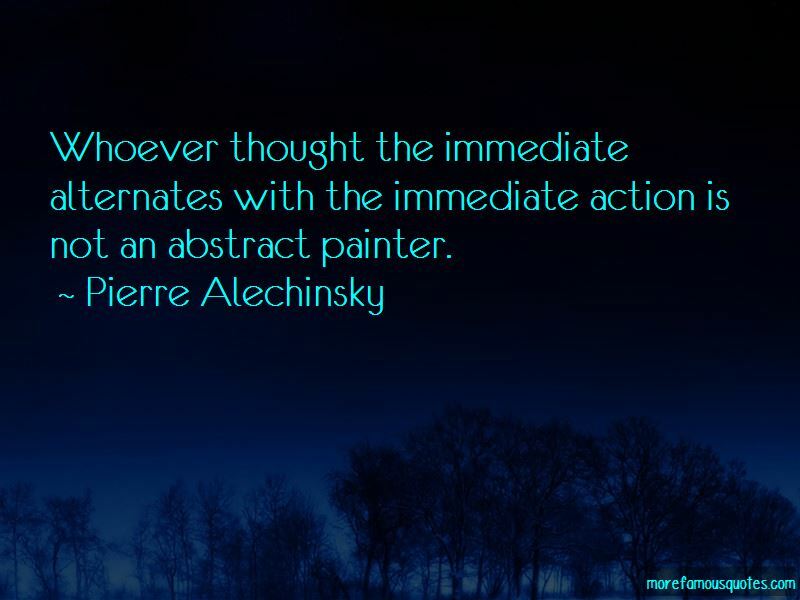 Only during the action is the idea of matter influenced. Too many modern painters set themselves satisfied with just a coincidence, the spot in its raw, meaningless form. Everything that you paint may be used as evidence against you. 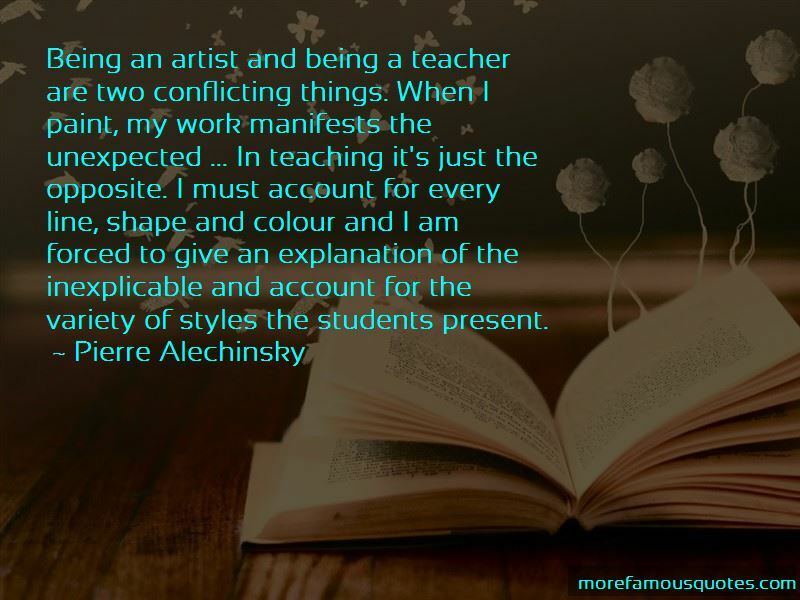 Want to see more pictures of Pierre Alechinsky quotes? 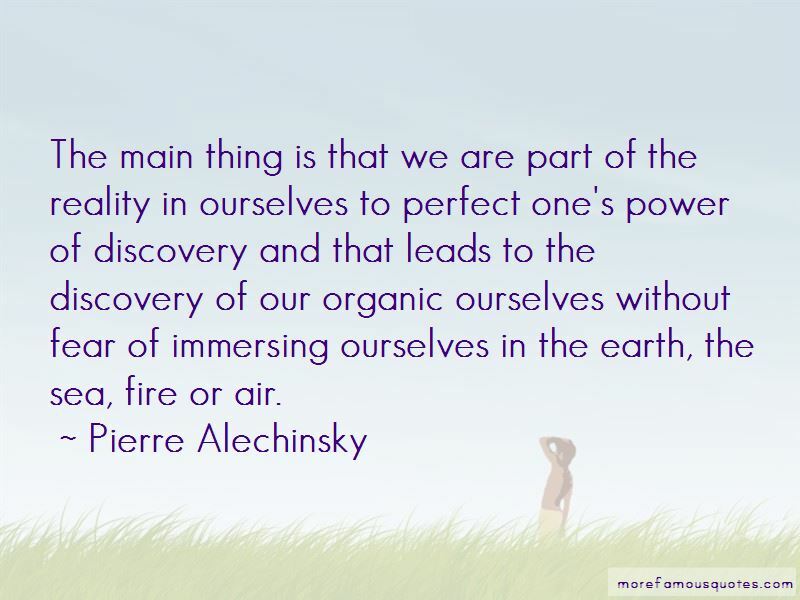 Click on image of Pierre Alechinsky quotes to view full size.